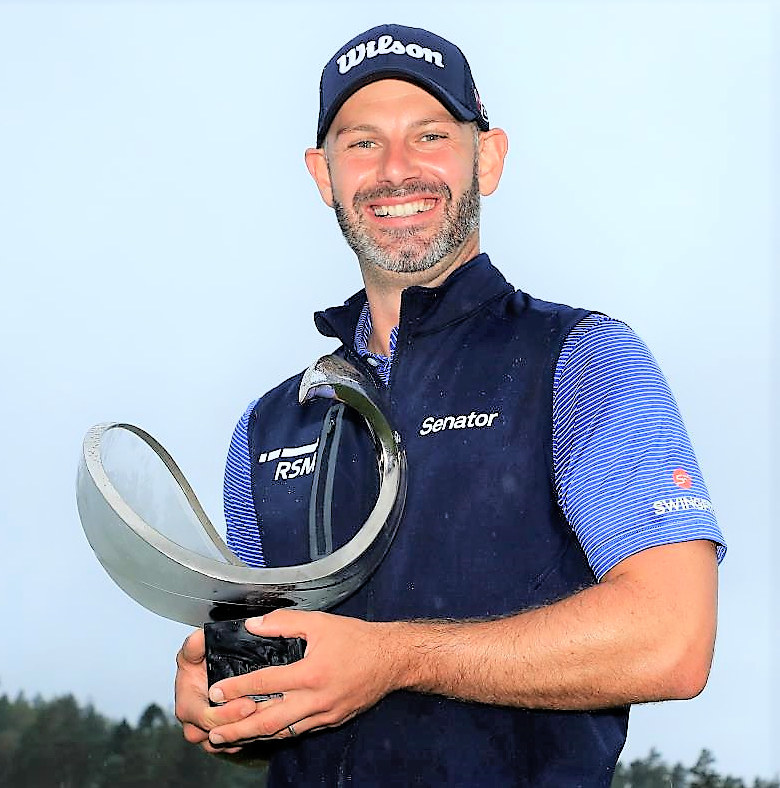 Paul Waring defeated Thomas Aiken in a play-off at the Nordea Masters to win his first European Tour title in his 200th appearance. The two players were tied for the lead when they teed off the final round at Hills Golf Club and they could not be separated over 18 holes as both recorded rounds of 68 to get to 14 under par. Englishman Waring, pictured by courtesy of Getty Images, who has seen his career disrupted by injury since graduating from Qualifying School in 2007, only required one extra hole to finally get his hands on the trophy, after three-time European Tour winner Aiken put his tee shot into the water. It had been a game of cat-and-mouse throughout the day between the two players. South African Aiken birdied the first to take the lead, but Waring responded with a long putt on the second hole. An excellent approach into the third left Aiken with four feet for a birdie and he made no mistake to edge ahead again. After back-to-back bogeys for Aiken on the next two holes, Waring opened up a two-shot lead on the par three tenth. A first bogey of the day on the 15th hole for the man from Liverpool cut the lead to one and Aiken got up and down from the sand on the last for a birdie to set up the play-off. German Maximilian Kieffer finished with three birdies in a round of 65 to finish in third place at 13 under par, one shot clear of in-form Dane Thorbjørn Olesen. The result could prove be significant for Olesen, who moved into the automatic qualifying positions for the European Ryder Cup team via the World Points List. Australian Lucas Herbert picked up six shots in his last seven holes to get to 11 under par, two shots clear of Thailand’s Jazz Janewattananond, Italian Andrea Pavan, South Africa's Haydn Porteous and Englishman Robert Rock. Paul Waring: “It’s 200th time lucky, isn’t it? I’ve been through a few ups and downs in my career with injuries, some good golf played. To finally get across the line, I’m absolutely ecstatic right now. “I felt like I got myself into control on the back nine. I hit a few putts, hit the lip on 14, 15, 16, so I felt like I kind of kept it on my side. I got a bit lucky with the lie on 18 out of the bunker. I didn’t really give myself a shot and Thomas made birdie which put us back level. But it was nice to get it done on the first extra hole. Thomas Aiken: “I started off well, I had a couple of little mishaps on four and five but came back nicely. I just couldn’t sink any putts. That was pretty much the story of the whole week. I don’t think I really sunk much outside of 15 feet the whole week. Max Kieffer: Every day I said the back nine is very scoreable. It was nice to get on a flow on the back nine today along with Lucas. We both played great, it was good fun. Thorbjørn Olesen: “I started off not good. I bogeyed the third hole which is a par five and I probably lost two shots to the field there so that set me back. I tried to be aggressive from there on and tried to go for everything and I felt like I hit some good shots but they didn't get close up to the pin. “It was like a day where it could have been good but it didn't happen. I gave it everything today. I tried my hardest, played aggressive, that's all I can do. I didn't have my A-game today and half the round yesterday and in that way finishing top five is a pretty good result."